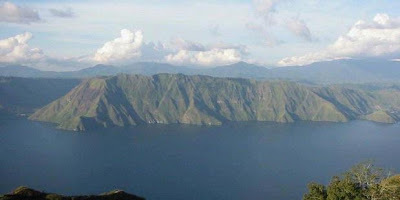 Giant eruption of Mount Toba 74,000 years ago happened sparked debate among scientists. The debate mainly revolved around the effects of the eruption of the volcano. Previous studies on the eruption of Mount Toba said that 74,000 years ago that led to darkening skies and lower temperatures by 10 degrees Celsius for half a decade. Anthropologists also said the eruption was also affecting the process of human evolution, causing a phenomenon called genetic bottleneck, a condition when the population of certain species killed or inhibited the reproduction. However, studies conducted by some scientists later said that the effects of the Toba eruption is not as bad as expected. Based on research results volcano Stephen Self Open University in Milton Keynes, England, and Michael Rampino paleobiology expert from New York University, USA, for example, decreasing the temperature of the earth is only between 3 and 5 degrees celsius. Anthropological research by Michael Petraglia of the University of Oxford UK also mentions the controversial results. Results from studies based on the condition of one of the archaeological sites in India, it mentions that the humans who live near Mount Toba in fact able to survive and survive more easily. Recently, an expert on climate modeler from the Max-Planck Institute for Meteorology in Hamburg, Germany, Claudia Timmreck, conducted a study to see again the effects of the Toba eruption. He created a climate model that is said to resemble climatic conditions after the eruption of Toba in those days. The study focuses on aerosol sulfate particles formed from sulfur dioxide gas, the particles that cause the reflection of sunlight, causing temperatures cooling the Earth. Based on research data, it is known that the Mount Toba out 850 million metric tons of sulfur dioxide into the atmosphere. The study also concluded that the effects of the eruption of Mount Toba is not as bad as expected so far. Decrease the temperature of the Earth, for example, only between 3 and 5 degrees celsius globally. Extreme temperature changes occur only in Africa and India for two years, with the temperature reduced to 10 degrees celsius in the first year and 5 degrees Celsius in the second year. The results, published in Geophysical Research Letters latest edition November also showed that the accumulation of sulfur particles in the air also will disappear in a few years. F also said that the eruption was not until the finish of the population of flora and fauna there. However, the incident made many life processes are recognized to be difficult. Responding to these findings, Petraglia agree that the effects of the Toba eruption is bad. However, its impact on humans is not so serious. "The population (men) survived, but face poor environmental conditions for several years," he said. He also said, needs to be done also observation field as the advanced stage of research.